User Audit gives you the ability to search for users to see what group(s) they are in and what plan(s) they have access to. 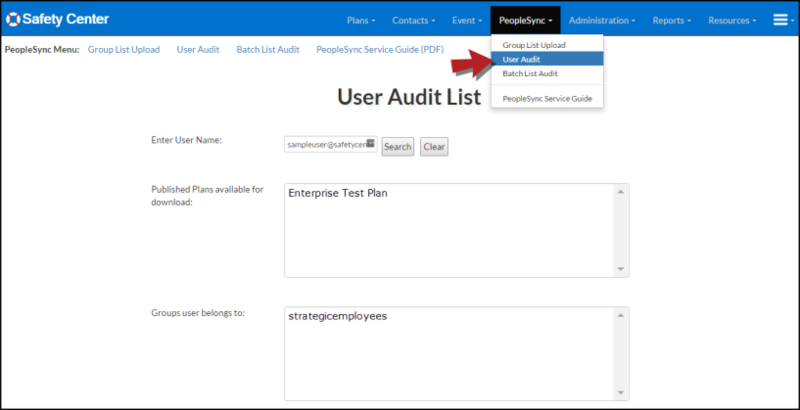 Click on the PeopleSync tab and then click on User Audit. Enter the email for the user you would like to audit and click the Search button. This will list the plans the user can access as well as the groups they are currently in.